This is a lossless scalable vector image. Base size: 1000 × 600 pixels. Created by Palffy. 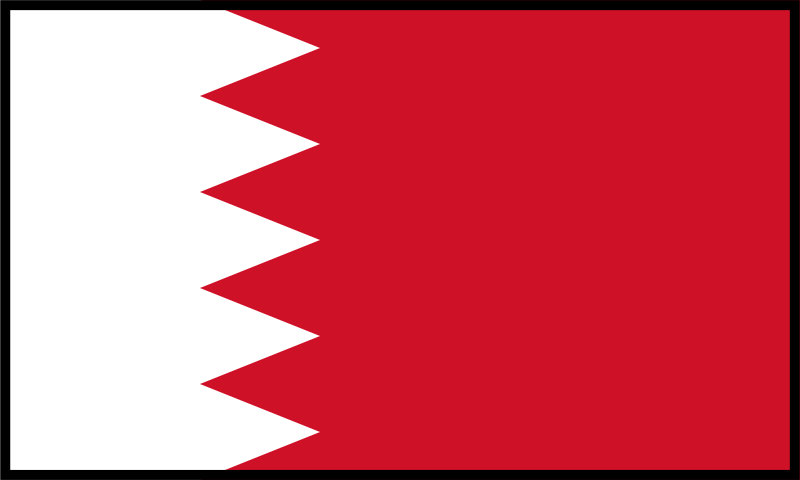 The flag of Bahrain with a border. This image has been (or is hereby) released into the public domain by its author, Palffy at the English Wikipedia project. This applies worldwide. Palffy grants anyone the right to use this work for any purpose, without any conditions, unless such conditions are required by law.